Over thirty years from now, I used to copywrite and design for advertisements. In all those years of work, though, I never lost my passion for theater and the entertainment industry – especially "rakugo". "Rakugo" is something I’d do all day all night. Whenever I was free back then, I would listen to the great "rakugo" masters playing from the radio. Every moment of "rakugo", I loved. 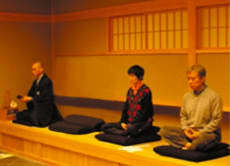 Pretty soon, I started to search for areas in Kagurazaka – the home of entertainment – that would host "rakugo" shows. As I did that, I found myself in the tourism industry guiding people around town. Since then, I have edited/published a book with the help of the archive team at an NPO named "Iki na Machidsukuri club" – an NPO aimed at building a stylish town. The book - called Machi no omoide wo tadote - is a book about the history and culture of Kagurazaka. Today I do lectures on culture, Tokyo history, and Yose (vaudeville) performances while making new content for "Rakugo".